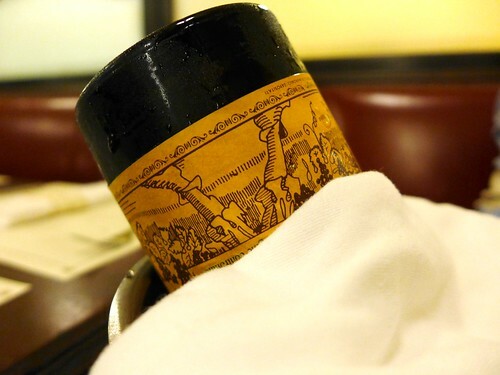 So you’re a wine amateur and are planning a vacation in Rome? 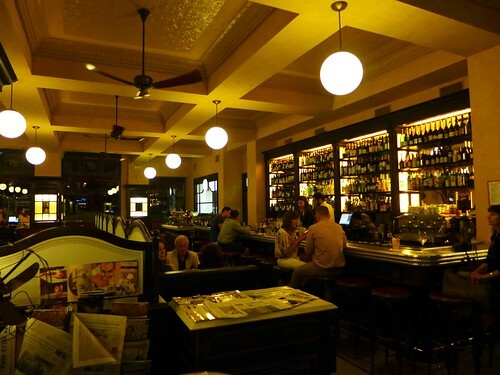 You are certainly going to ask yourself where to find good wine lists that won’t hurt your bank account too much. 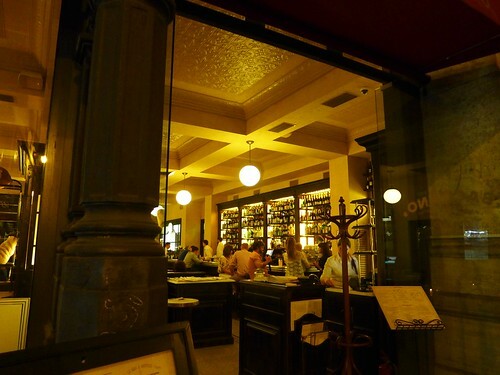 Well, I am not at all a pro when it comes to Rome and its dining scene, but the one wine restaurant I experienced, I can pass on to you as a tip without hesitating. 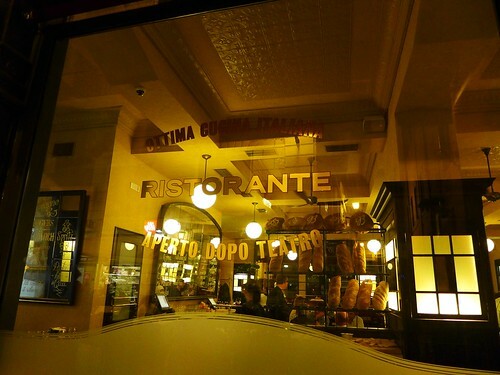 But I didn’t find Ristorante Baccano by coincidence. 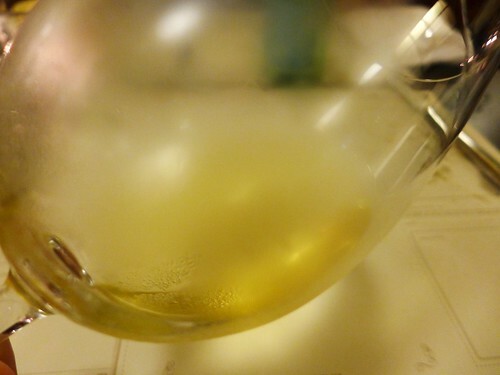 It was a tip I received myself from wine-importer Winepunk and I have to thank him for that. The place is very close to the famous Trevi-fountain, where tourist masses are pushing each other, hoping to shoot a god picture. 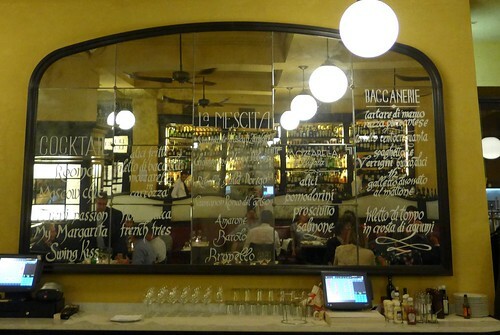 But in the restaurant itself, all is fine: Romans and tourists are mingling which I take as a good sign. 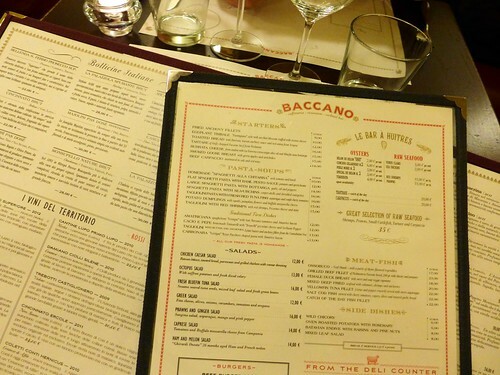 Baccano is actually a huge brasserie-like place, with a beautiful zinc counter and many bistro-tables filling a vast and somewhat cold room. 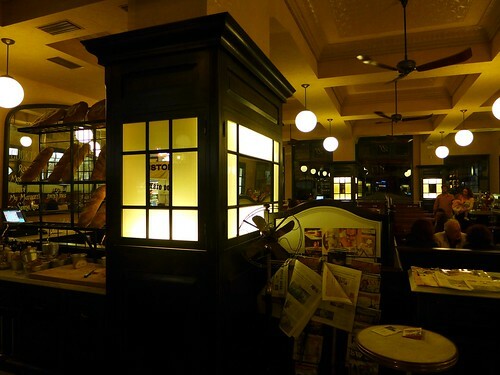 It is maybe the comfiness of a slow-paced restaurant that I was missing a little that evening. Also, discussions with waiters were very brief, which is a pity when it comes to wine. But you can’t have everything. 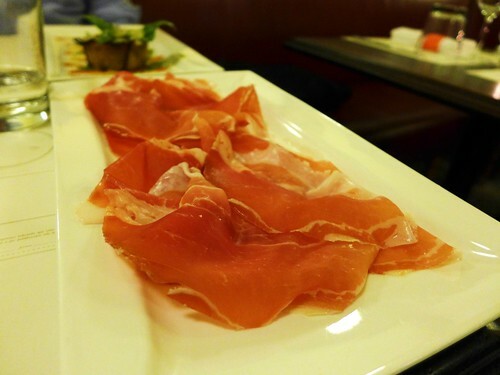 The menu on the other hand leaves you with many options: oysters, burgers, antipasti, pasta and other delights are available in quite some variations. So my brother and I decided to criss-cross the menu a little in order to taste a broader spectrum. For a start on the wine-side, we decided to dampen our palates with a dry Italian sparkling wine, Franciacorta Brut by Majolini, which was very good. ..and so now we’re at the core of the topic. What a nice wine-list! First of all: you can have many Champagnes at around 40 Euro BOTTLE PRICE. Something I haven’t seen in any other wine bar or restaurant so far. But maybe this is normal for Rome? 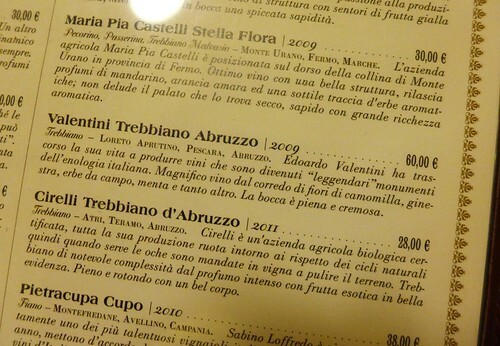 Anyhow, the selection of Italian wines is off the hook, and there are also many well-priced bottles available. Still, we went for a more pricey bottle, for 2 reasons: First, because in Germany this would be the retail price of the wine. Second, because it’s a Trebbiano by Valentini which is a rare find and simply delicious (had my first Valentini here, btw)! The Valentini was indeed excellent. I was a bit worried at first that it might be too young. But those wines seem to be timeless. The 2001 we had at L’Air Du Temps was equally fresh. The wine has it all: floral, fruit, a certain subtle yeast and dough note , an unusual kind of minerality, great depth and freshness, superb balance, it appears light and intense at the same time and shows a great finish and length. 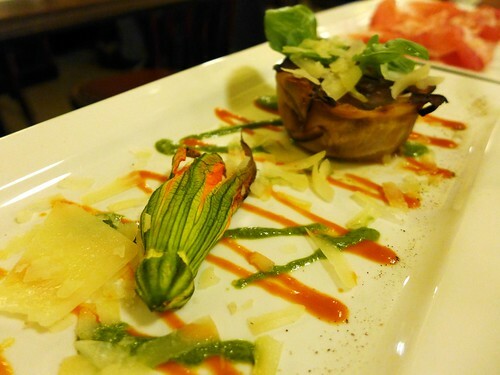 Timbalo di melanzane with zucchini flower – The plate looks a bit wild, but it was a good dish. 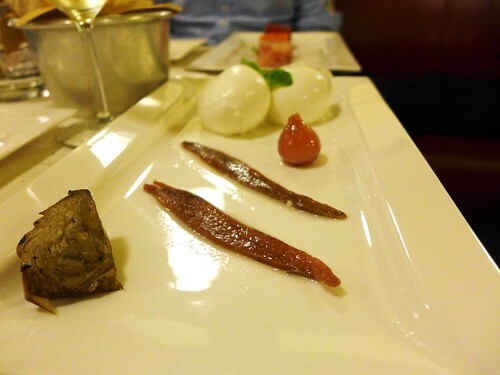 Mozzarella di bufala di paestum con acciughe del mar cantabrico selezione nardin – got it? Origin of inrgedients is emphasized at Baccano, which is a great thing! 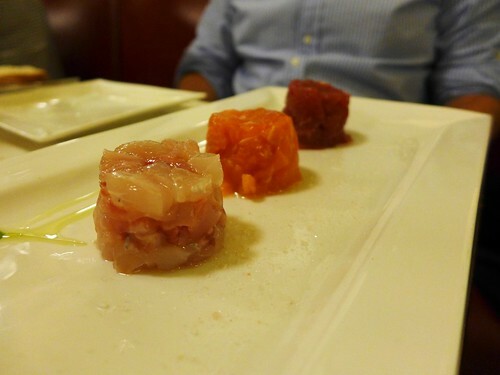 Mixed fish tartare. This one would have needed a little something extra, despite the good olive oil. We ordered some lemon. 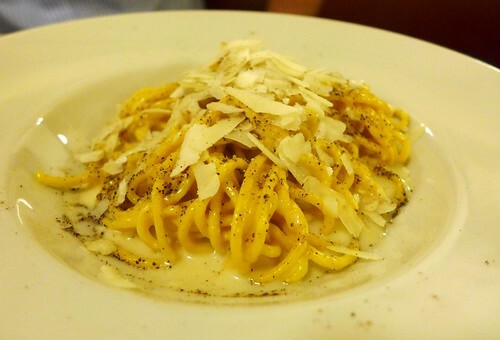 Cacio e pepe – Made with Brunelli Pecorino and Szechuan pepper. Such a simple dish and still delicious. 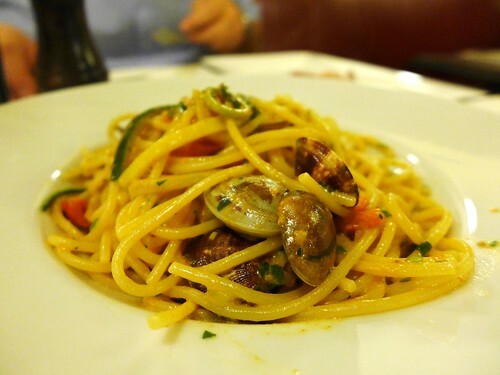 Spaghettini a ricci di mare – sea urchin and vongole spaghettini. Damn tasty! 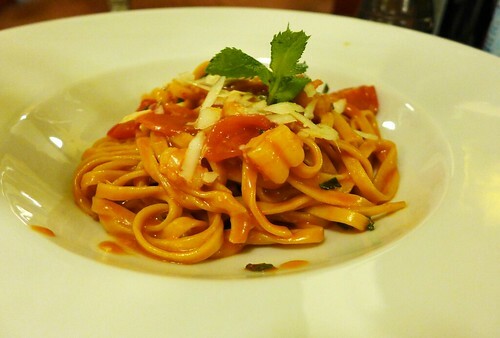 Tagliolini ai gamberi rossi – red shrimp tagliolini with pecorino and mint. Those were made in heaven. Especially the mint added a little something. That’s it. I would have ordered more pasta if I could, but my stomach was full. We ordered the bill and happily walked back to our hotel. 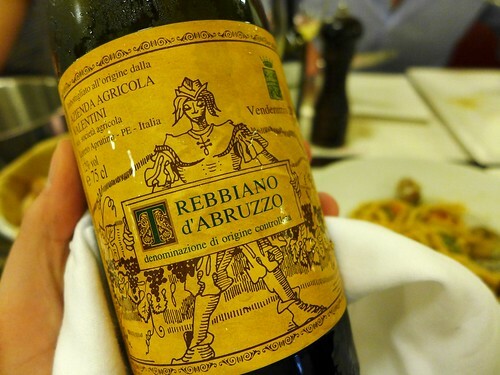 What other wine bars in Rome can you recommend? I’ll leave you with a couple of impressions. Wow… that just made me crave some pasta big time (especially the se urchin and vongole). Enjoy Italy!! Hey Didier. I guess you got to bring some water to boil then! ;P Already back from Italy!